In addition to the primary goals of preventing tooth decay and gum disease, children have special needs for their developing teeth. Dr. Jennifer Bartlett will discuss a care and prevention plan that addresses these special needs and promotes good dental hygiene for the whole family. We also understand that children may not fully understand everything that is going on with their visit to the dentist. This is why Dr. Bartlett and her staff makes sure to be incredibly gentle and have a "no traumatizing" policy in our office. As a mother, Dr. Bartlett understands the importance of building trust at an early age. We offer Happy Visits for 1st-time dental cleanings where a patient is never forced but introduced to a dental environment in a way they learn and look forward to coming back. Our practice encourages family interaction and offers an openness allowing parents to be in the room with the patients during cleanings and procedures. 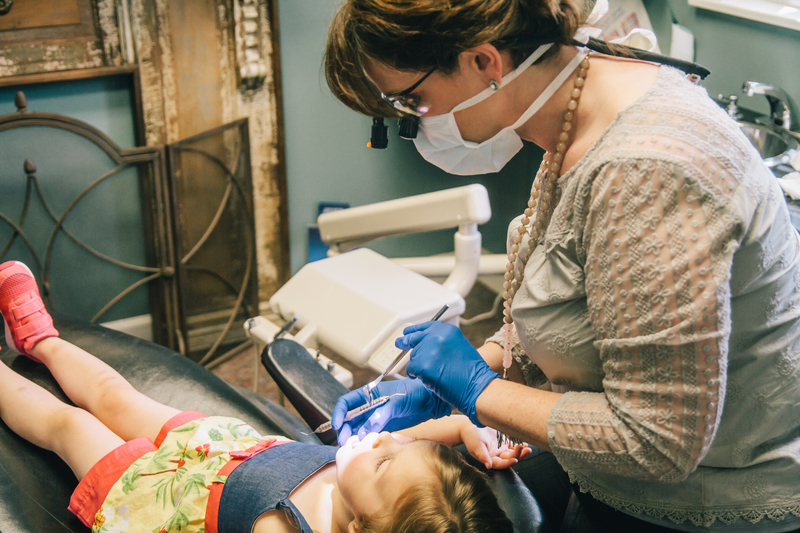 In order to make your child feel at ease during their dental visits, Dr. Jennifer Bartlett uses the most advanced dental technology and state-of-the-art equipment to serve you and your family. Every year, Dr. Jennifer Bartlett continues her education with additional training on the latest in dentistry so our community can continue to have the best care available.